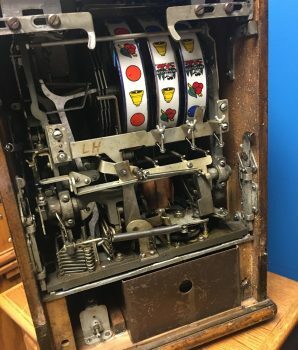 RARE “ONE DOLLAR” Jennings Nevada Club The Bonus Club Chief w/Top “NEVADA CLUB” Marquee and “Nevada Club” Reel Strips. 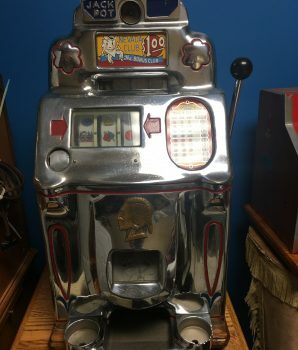 The chrome marquee and award card are all in good condition. 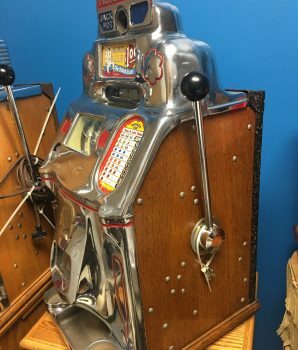 The mechanism of this machine operates extremely smooth. 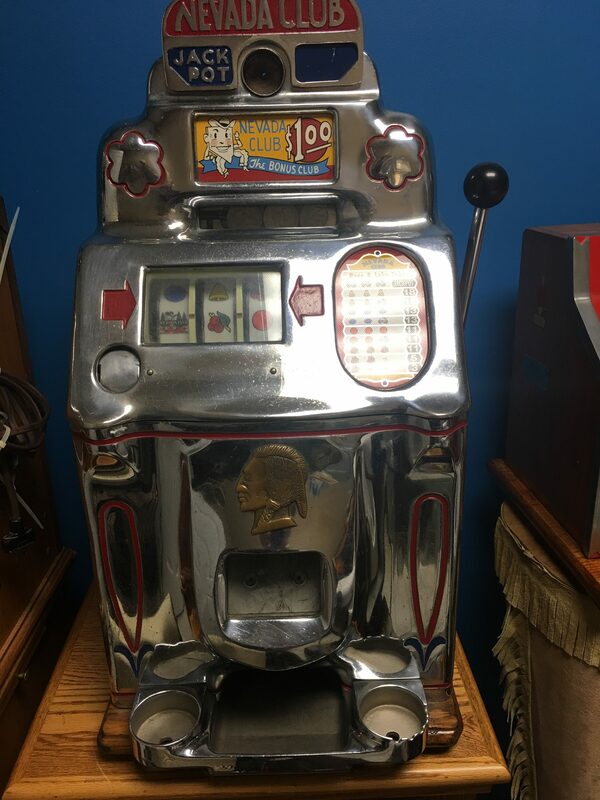 This wonderful looking coin operated slot machine was made in 1940’s, by Jennings Mfg, and is one of the nicest vintage machines. 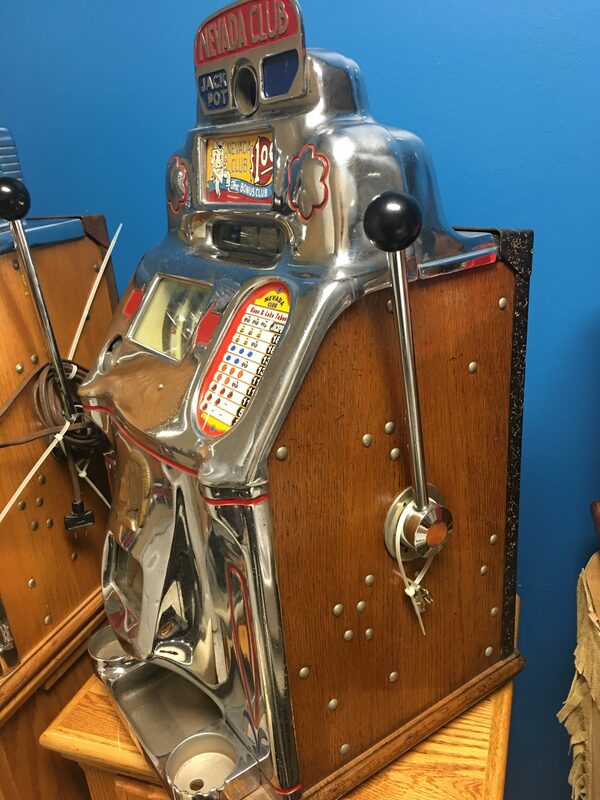 Original dollar machines rarely comes up for sale. 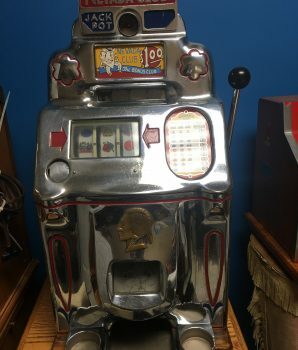 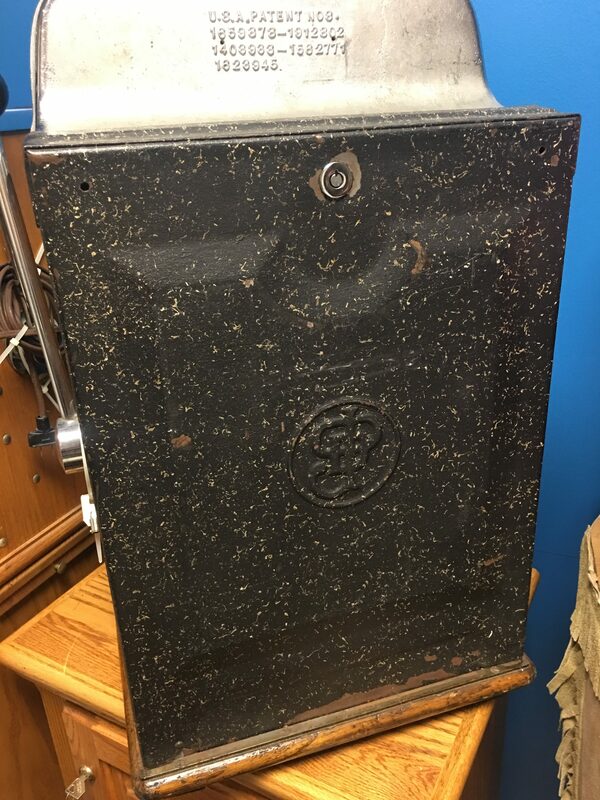 Slot Machine measures 29″ tall to the top of the Nevada Club marquee, 17 1/4″ deep taking into account the attached drink and ashtray holder, and 15 ½” wide.The machine is solid, with casting and cabinet in great condition. 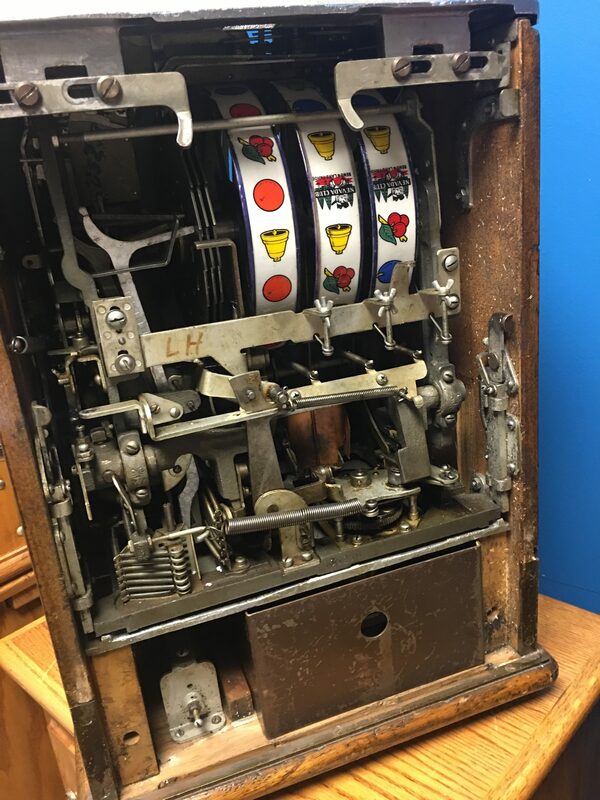 It has the original back door with lock and cash box. 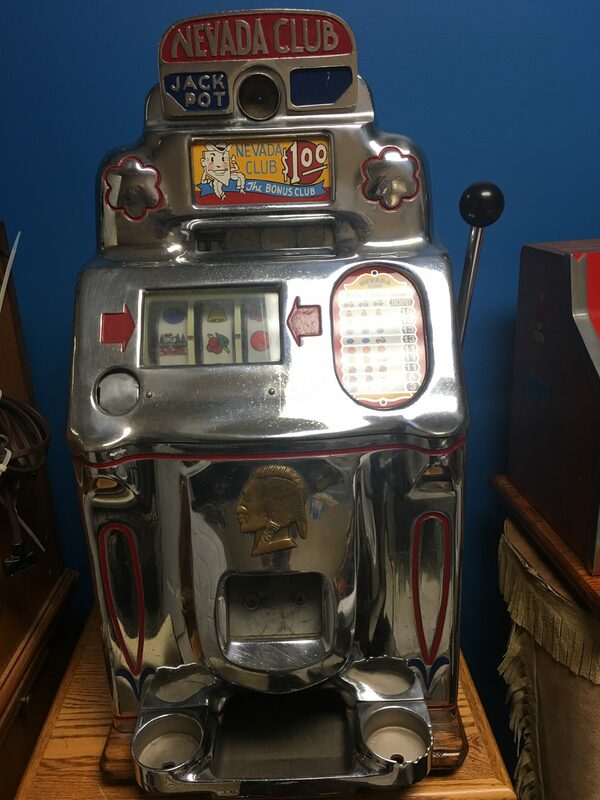 A Dollar machine of this quality are extremely difficult to find.We Professionally Double Box the machine for a Safe Delivery. 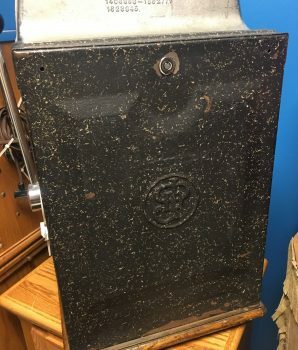 S/H $255.